This week I had the pleasure of interviewing Just1Sarah Resident she is always helping out in the Amaretto Group so if you see her give her a big hello!! ~ Heya! My name is Sarah, 30 years old and from The Netherlands. I came to Second Life about 7 years ago. 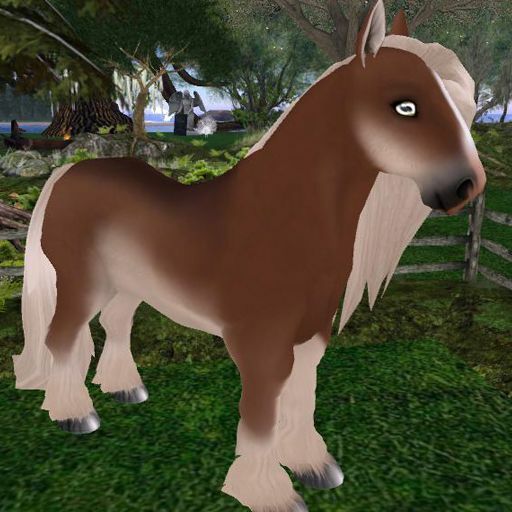 I have Autism with an anxiety disorder which kept me at home so Second Life is a great way to spend my time. ~ I own mainly K9’s now but I have had tons of horses back when I had my own region. So now I have a few pet horses and 3 horses I am breeding with that I just had to have because they are so pretty. ~ It was years ago when I got another breedable as a present. Not long after I had a lot of them. It brought me to auction places and markets when I started to see the Amaretto Horses. I love horses in RL so that was a simple choice and pretty fast my sim was covered in horses. ~ No not breeding ones at least. Of course I still have bunnies in their baskets and unbirthed kittycats, meeroos, fenux and I think even fairies. ~ I am not having a project with them. I just like to have the ones I have. I love the Belgian Draft the most. ~ I make Tattoos and own my own store in that and I play Tiny Empires. Thank You Just1Sarah for letting me interview you this week! 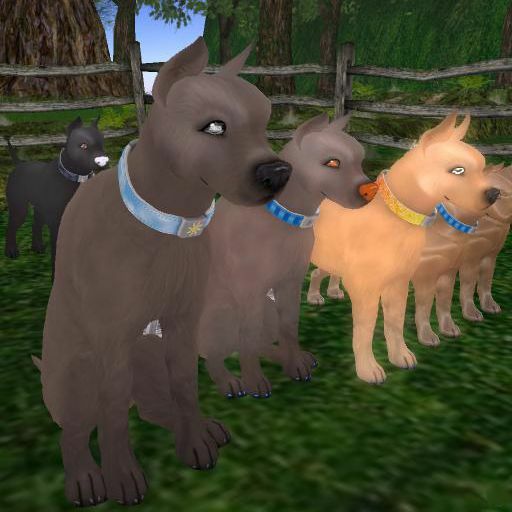 I have included pictures of some of Just1Sarah special Amaretto Breedables!